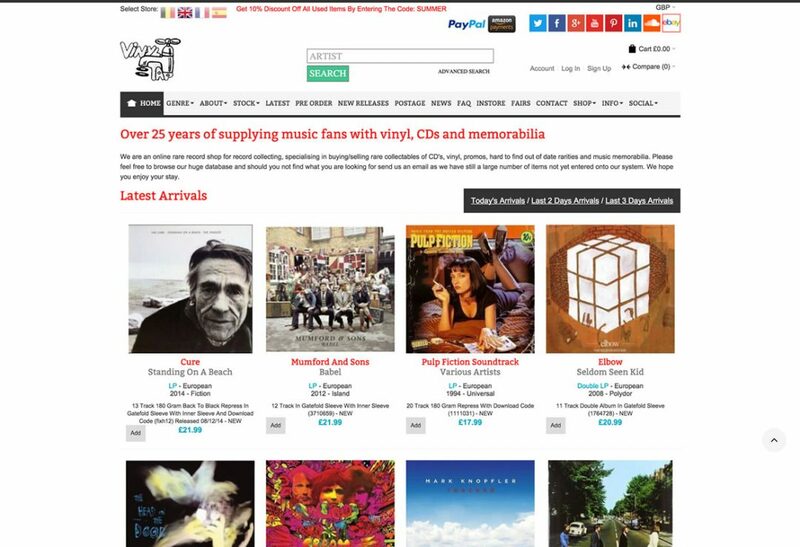 Vinyl Tap in Huddersfield are an online rare record shop for record collecting. They specialise in buying and selling rare collectables of Vinyl, CD’s and memorabilia. The website was designed and developed using Magento and the site currently has over 100,000 products listed.